Home / Health / Health Tips – How to Lose Weight !! 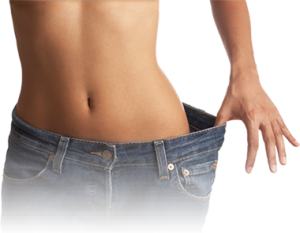 Fat is become big problem in our busy life and maintaining a healthy weight can be tough, The best weight-loss strategies are the ones that stand the test of time. It is running full life; you have not sufficient time to give care of your body. If maintaining of health is tough, those whose body become fatty their losing weight, even tougher. Don’t worry, at there you can find the some important physical and diet tips for healthy body and lose belly fat. At here we’ve gathered some important and classic tips from our favorite health and nutrition experts. – for controlling the fatness and maintain your fitness then make Track ‘how much’ you are eating and make diet chart of sufficient balance diet. – This time, use protein, green leaves vegetable, use water appropriate for the body, all factor affect on your body metabolism and work to reduce the fat. Don’t use junk food and Eat protein, it may protect you against insulin resistance, insulin promotes fat storage. -You have to try basic yoga that affect on your stomach directly, In various yoga cycling or running is best option for reduce effect of fat on body. Balance diet and work out is best solution of the belly fat and maintenance of body. If you’ve tried and failed to lose weight before, you may believe that diets don’t work for you. Meet your best dietician and find the best solution of your metabolism problems you’re probably right: some diets don’t work at all and none of them work for everyone—our bodies all respond differently. Keep care of your health and make fit and healthy body, we bring for you another important tips respectively.